C-89.5 is an equal opportunity employer. We welcome applicants from all cultures and communities. The C895/KNHC Public Radio Association seeks a full-time Corporate Support Representative. The Corporate Support Representative is responsible for increasing C89.5 revenue through the sale of on-air messages, online ads and streaming pre-roll, sponsorship of events and other projects. The Corporate Support Representative develops new business and provides continuing account management to a variety of business and non-profit organizations. The Corporate Support Representative maintains a productive revenue pipeline through prospecting, research, meetings, proposals, and networking; qualifies copy points and writes copy that adheres to C89.5 and FCC guidelines; drafts and finalizes underwriting agreements including schedules and costs; and maintains account records, traffic orders, receivables, database input and trafficking in Marketron. In addition, the Corporate Support Representative maintains outstanding customer service and communication to all clients, vendors, and staff; ensures timely collection of accounts receivable; attends team meetings; and represents C89.5 in a professional manner. The Corporate Sales Representative is a contract position. Insurance, transportation, and all taxes are the responsibility of the contractor. 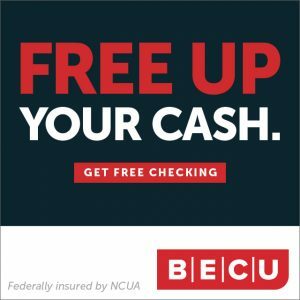 The C89.5/KNHC Public Radio Association offers unlimited earning potential through a combination of base pay plus commission. C89.5/KNHC is licensed to Seattle Public Schools and reaches more than 150,000 listeners each week. The Corporate Support Representative is a contractor with the C89.5/KNHC Public Radio Association, a 501c3 organization, whose mission is to provide professional and financial support to c895 Public Radio. In an effort to establish a diverse, inclusive, and culturally competent workforce that mirrors our population, the C89.5/KNHC Public Radio Association encourages applicants who represent diversity of thought, education, national origin, gender, skills and experience. 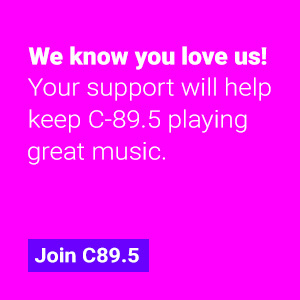 Thanks for your interest in working at C-89.5! C-89.5 has been Seattle’s Home for Dance for nearly 50 years, reaching a new generation of radio listeners with energizing music and public affairs programming. The station is owned by Seattle Public Schools and operated by professional staff with assistance from students of Nathan Hale High School as part of the electronic media course. The station is located at 10750 30th Ave NE in Seattle’s Meadowbrook neighborhood, near Northgate.